I recently received a call from someone in another state telling me that their pastor was glued to his sermon notes and read his sermon word for word. To make a short story even shorter, they learned that the sermons being read were authored by Warren Wiersbe. The troubling thing beyond the uninspirational delivery style was the lack of attribution – passing off the thing as if it were his own. The troubling thing was this pastor’s plagiarism. Craig Groeschel writes this: On LifeChurch.tv Open, we don’t require attribution for resources that people download and use. We don’t need credit nor desire it. We simply want to make anything we create freely available for other pastors and churches to use in ministry. Sadly, we know of a couple of pastors who have been fired, in part, for “plagiarizing” our work and others whose integrity has been questioned. It isn’t plagiarizing if you’re given permission. Just because it isn’t plagiarizing doesn’t always mean you shouldn’t give credit to others. It honors the pastor or church who came up with the idea. It demonstrates humility and security. It exposes a church to other great leaders and teachers. It removes any doubt of copying. Don Carson writes: Taking over another sermon and preaching it as if it were yours is always and unequivocally wrong, and if you do it you should resign or be fired immediately. The wickedness is along at least three axes: (1) You are stealing. (2) You are deceiving the people to whom you are preaching. (3) Perhaps worst, you are not devoting yourself to the study of the Bible to the end that God’s truth captures you, molds you, makes you a man of God and equips you to speak for him. Tim Keller adds: Plagiarism is a problem for these reasons: Preachers today feel under much more pressure to be spectacular than they used to feel. Christians are much less likely to be loyal to a church of a particular place or a particular theological tradition. What they want is to have a great experience on Sunday, and that means they will travel to get to the most gifted preachers. When you put this pressure together with (a) a busy week in which you haven’t felt able to prepare well, and (b) the accessibility of so much sermon material through the internet—the temptation to simply re-preach someone else’s sermon is very strong. Nevertheless, we must be careful not to over-react. I don’t think anyone expects oral communication to have the same amount of detailed attribution as we expect in written communication. To cite where you got every allusion or basic idea or general illustration in a sermon would be tedious. A certain amount of leeway must be granted… I think the problem comes in when a minister clearly has not done his own work on the sermon, and lifts almost entire sermons whole cloth from someone else. If he takes some preaching theme word for word from someone else, or if all the headings almost in the same words are taken from someone else’s sermon, or if he reproduces an illustration almost phrase by phrase—then he should give attribution. Rick Warren: When I was planting Saddleback Church, other pastors’ sermons fed my soul – and eased my preparation! I hope the sermons here will do the same for you. Whether you use the outlines and transcripts for sermon ideas or listen to the preaching to fine-tune your delivery, I’ll be thrilled if your ministry becomes more effective. And if you have a sermon idea that might be helpful to me, feel free to share it! As pastors, we’re all on the same team. Let’s help each other out – and when we get to Heaven, we can rejoice together over the people who were saved as a result! Many of the men quoted above also made note that if you are in the Word and studying it and soaking in it and meditating on it, you won’t need to use anybody else’s stuff. I say, “Yes” and “No” to that one. For me, the pulpit is a matter of study and pray, beg, borrow, and steal. If the people are only exposed to the fruit of my thoughts, they will be like the seven lean cows of Pharaoh’s dream. What are your principles of sermon borrowing and attribution? Good observations from multiple positions. I remember reading Carson’s views on this earlier this year and thinking, “Man… that’s a little over the top.” Keller is far more balanced. I think you see (between these two) a clear difference between a career seminary professor and a vocational minister. Aside from two years as a pastor, Carson has worked in an academic environment for his entire adult life. The realities of preaching and teaching new messages from different texts week after week are way different than teaching [often] the same series of class teachings every semester. I was way blessed earlier this year as I was listening to Alistair Begg preach through 1 Corinthians morning after morning on the radio. The series was great, and very helpful to my own study through 1 Corinthians. Then, as I was reading through John MacArthur’s commentary on 1 Corinthians I was more than a little surprised to realize that 90% of what Begg had preached was nearly identical to MacArthur’s commentary. Pretty interesting. Mind you, Begg sounded way better preaching it with that Scottish accent. I remember listening to Pastor Chuck preach a sermon from Ephesians 2 w/ a very memorable outline. I was reading Barclay shortly after that and the way that he outlined the chapter was exactly the same, word for word, with Chuck’s outline. I thought, “Hmmmm…someone’s copying someone.” But it didn’t make me think ill of Chuck for taking Barclay’s stuff and preaching it, it encouraged me that it was OK to lift a little gold out of another’s mine. It seems obvious that quoting from other guys is fine. Biblical examples of Paul quoting philosophers and ancient texts and so on show that. But when it comes to preaching entire sermons prepared by other guys, I personally have a problem with that. I am also pretty down on the “sermon series in a can” deal that some are purchasing and utilizing. In my perspective, THAT kind of approach can be done by anyone and doesn’t require a gift of teaching. It minimizes the need of the Spirit to work through specifically called and Spirit-gifted men He has called to do a job which He has not called others to do. Preaching isn’t speech-making, or I suppose this wouldn’t be a big deal. When Spirit-gifted men do the hard work of pouring over the sacred text they have the promise of God’s power. They will save themselves and their hearers. The process is promised to be blessed by God with the result of His saving power. If you’re not going through the process, but instead simply reading the notes of another man who did it for you, I don’t see how you could presume to expect the power in your preaching. Every preacher begs, borrows and steals, yet there’s a difference between preaching from your head and preaching from your heart. 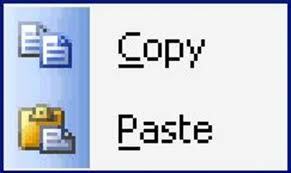 There’s a difference between copy/paste/publish and copy/paste/grind it into your soul/publish. Re Alistair Begg; Love him and he has also influenced me, but I also think he sounds a bit like Shrek. I once heard a very popular pastor give an exact outline of a Wiersbe outline. The message was not exactly from Wiersbe’s “Be” series, but it very, very close. The message was either heavily borrowed or both were heavily influenced by the same Holy Spirit. Since the pastor I was listening to is widely respected, I’m going to choose to believe it was more of an influence of the Spirit than the direct lifting of material. I tell that story because while we all listen to and read many great commentators and preachers (some that occasionally contribute on this blog…), I also think it is possible for two like minded preachers to come up with a similar outline and maybe even sub points independent of plagiarism. I think I would worry more if someone was always coming up with some new insight to passages. Don’t misunderstand, I’m totally against lifting messages and claiming it as yours. I’m just saying it is possible, especially regarding outlines, to have a similar message. I’m going to weigh in on this, but with a bit different view. I like all the thoughts outlined (good job Tim! ), but especially Carson’s 3rd point. It’s why I’ve been committed to inductive study as a base for exposition these past 20+ years. I remember hearing from a young-wanna-be pastor that I should read all the commentaries & listen to Chuck’s tapes (mind you, I heard them all live “back when”) BEFORE reading and studying on my own. I adamantly disagree. Either 2 Tim 3:16-17 & I Jn 2:20, 27 are true, or they’re not. I saw full-scale plagiarism (word for word style) with many (most?) of the national pastors being trained through our ministry. I also saw the transformation that came when they learned how to use the tools to unlock the Scriptures for themselves. I continue seeing it after 20+ years in places where they only have Bibles (often poor translations) without concordances. I believe the priority is– do your own study first, asking the Holy Spirit’s help—Trusting Him and God’s Word. Then refer to other’s studies and comments. It’s ALL plagiarism when you get down to it. It just needs to be plagiarizing what the Holy Spirit is saying, whether as revealed while studying on your own, or through the insights of others. What’s that verse about being the “oracles of God”? As far as credit… that needs to happen on our knees & in openness before God’s people. If it’s heavily borrowed, give credit where credit is due. But as Shakespeare’s quote of Solomon (& maybe Job?) says, “there’s nothing new under the sun.” We’re just the conduit, or some quasi “glory spout,” for others to be nourished and encouraged in the truth. Ultimately, the problem may not at root be plagiarism or laziness, it may be a group of men who haven’t really been taught how to study and dig in and discover the veins of ore in every passage of Scripture. Possibly, the managerial approach to ministry vs. the pastoral approach has produced a group of men stunted in their study skills and therefore dependent upon the gold of others. Maybe. As one who has been in a church and sat under teaching, only to discover my pastor was preaching “canned” sermons I think I can add a different perspective to this conversation. I went for years to a church that preached in series, ‘Life lessons from Jonah’, ‘The Game of Life’, ‘Parenting 101’, you know the type. I was reading a blog one day and came across a similar blog post to this one, except it had a video on it. The video was a montage, it alternated showing Craig Groeschel and another pastor preaching the same sermon. As I watched the video I recognized some of the visual graphics in the background. I then went on a google search and that’s when I discovered Lifechurch.tv, Craig Groeschel. As I looked through Lifechurch.tv I discovered that my pastor had used 4 of their series. Let me define “use”. He didn’t preach word-for-word from the transcript you can download, but as I compared the podcasts to the transcript from Lifechurch, there were large paragraphs and portions that had been ripped straight from Lifechurch. When I discovered this I experience a lot of differing emotions and had a lot of questions. I felt betrayed, as if he didn’t care enough about the body to be in prayer over us and do the hard work of preparation. I wondered, “Is this all there is to being a pastor? Anyone can get up and recite a downloaded sermon. That doesn’t require a calling.” I grew bitter, and for a while didn’t believe any godly work could be done through series-oriented churches. Here’s my objection to resources like Lifechurch.tv (and others which I am unaware of). 1. To the people, it feels like you’re being lazy and ignoring your gift. “devote yourself to the public reading of Scripture, to exhortation, to teaching. Do not neglect the gift you have, which was given you by prophecy when the council of elders laid their hands on you. Practice these things, immerse yourself in them, so that all may see your progress. 16 Keep a close watch on yourself and on the teaching. Persist in this, for by so doing you will save both yourself and your hearers” (1 Tim 4:13-16). 2. It’s okay to gleam, we all have influences, but even if you have permission (as is the case with Lifechurch) that doesn’t make it right. Don’t be sinfully lazy.”Pay careful attention to yourselves and to all the flock, in which the Holy Spirit has made you overseers, to care for the church of God, which he obtained with his own blood” (Acts 20:28). 3. I would echo what Trip said about giving credit. One my problems is when he would get up and use words like, “our, me or I” when in reality it was written for him. He’s just the speaker. So give credit. If you can’t give credit because you’re afraid of what the people may think of you or how you’ll look then you should probably take that as a hint that you’re doing something wrong. Yours is a common experience, Tom. Some resources, like LifeChurch can provide everything from text to substance to illustrations and applications – it’s like a furnished apartment – just move in. Other resources, like commentaries, give you nails and boards, but you have to build the house and furnish it yourself with illustrations and applications. I remember reading a book by Eugene Peterson where he writes that ‘busy’ should be a dirty word for a pastor. The pastor should so arrange his week and his time where he has unhurried time in the presence of the Lord and in the Word. I find this to be interesting. While I don’t find it necessary to mention each and every source we as pastors use, it is important that we don’t rely to strongly on someone’s work without giving credit. At the same time if we are all serving the same God the same Holy Spirit inspires me that inspires you, Billy Graham, ect. There have been some accounts where God has spoken to me a message than I go hear someone else preach and it is close to the same message God has given me. not a word for word but thought for thought.